﻿ Industria | SABIC | Faro del Mediterráneo, es una plataforma de información que alberga todos los contenidos de interés, que resultan relevantes para que, desde el extranjero, se “sitúe a Cartagena en el mapa”. The favourable economic and strategic features of the area around Cartagena have contributed to the arrival in the area of various prestigious multi-national companies, such as Sabic, which has a production plant here. In the Spanish and Portuguese market, SABIC’s best-selling products are ethylene glycol and polyethylene resins. 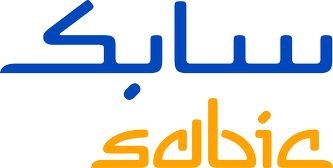 Apart from this, SABIC also holds a solid position in the diverse polypropylene markets. Ethylene glycol is mostly sold to those who produce resins like polyethylene terephthalate, saturated and unsaturated polyester, anti-freeze mixes and products for the ceramics industry. Most of the polyethylene and polypropylene is processed to create different types of final product for the Iberian market, mainly rigid and flexible packaging materials.